There are better alternatives to detect pneumatic cylinder end of stroke position than reed switches or proximity switches. By better, I mean they are faster and easier to implement into your control system. In addition, you can realize other benefits such as commonality of spare sensors and lower long-term costs. So what are the better solutions? Three types of sensor technologies lead the way to better alternatives. 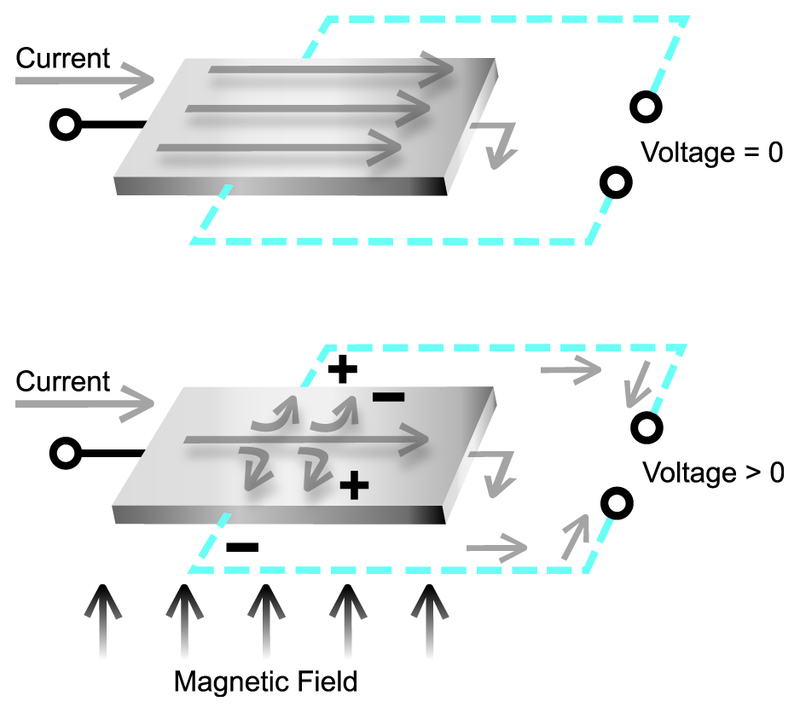 First, there is the Hall Effect magnetic field sensor, see figure 1. The benefit of Hall Effect sensors is speed; they are electronic so there are no moving parts and nothing to wear out. They are not affected by shock and vibration unlike the reed switch. 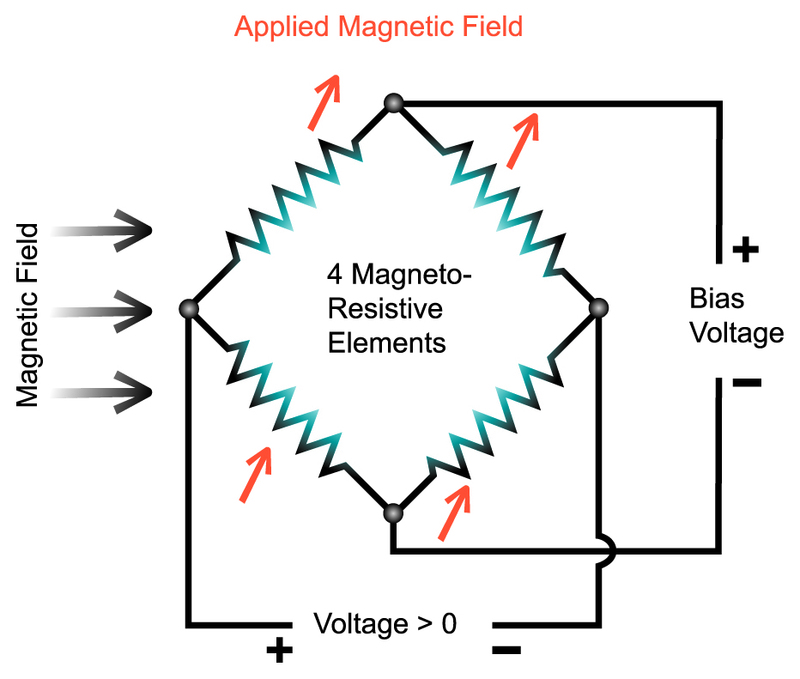 However, there are some disadvantages of Hall Effects such as they typically require fairly high magnetic gauss strength and they require a radially magnetized magnet. Typically, a Hall Effect will not work as a replacement of a reed switch or if it does operate, it may produce double switch points. A Hall Effect sensor is looking for a single magnetic pole, so if it is used with an axially magnetized magnet, it will switch when it sees the north pole and then again with the south pole, thus causing the double switch points. 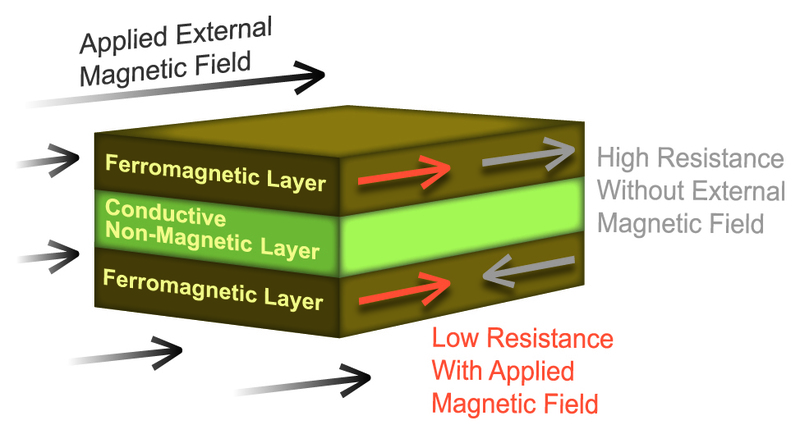 The second and newer technology is the magnetoresistive sensor shown in figure 2 or sometimes referred to as AMR. Unlike the Hall Effect sensor that uses a change in voltage the AMR is based off a change in resistance. This change in resistance is more sensitive thus; a lower strength magnet can be utilized. The best advantage of the AMR sensor is that it will work with the axially magnetized magnet and in most cases the radially magnetized magnet. Like the Hall Effect, the AMR has no moving parts and nothing to wear out and is fast therefore it is a good solution for high-speed applications. The magnetoresistive sensor does not suffer from double switch points and has a much better noise immunity than Hall Effects. Giant Magnetoresistive or GMR sensors shown in figure 3 are technologically the newer of the magnetic field sensors. They operate on a change in resistance, as does the AMR, however; the magnetic field causes a larger or giant change in resistance. Although you would think the GMR sensors are physically larger than the AMR, they are actually smaller. Major advantages of the GMR sensor are they are more sensitive, are more precise and have a better hysteresis than the AMR. Okay so the AMR and GMR sensors seem to be the better or even the best solution. Are there other advantages to them? Higher quality sensor manufacturers offer better output circuitry that includes reverse polarity protection, overload protection and short circuit protection. Couple that with lifetime warranty offered on some manufacturer’s sensors and you end up with a better alternative to the pneumatic cylinder end of stroke sensor. I know what you are thinking there must be some negatives. The initial cost of the AMR or GMR sensor may be slightly more than the reed sensor however this cost is becoming less and less and it is even less once you figure the cost of down time after your reed switch fails or the proximity flag is moved. In addition, the AMR and GMR sensors are 3-wire devices unlike the 2-wire reed switch. However, in the end the AMR and GMR sensors are still the better solution. Fore more information on magnetic field sensors, click here.